Custom designed enclosures mount meters at breakers or distribution. Easy direct reading non-resetable numeric readouts keyed to a site. Simple installation of custom enclosure by your local electrician. Each installation custom designed for your Park. The CM-30 is designed for 30 Amp 120 Volt standard campsite. Larger meters with the same features are available for 50A and up. Different capacity meters all use same mounting and can be mixed. 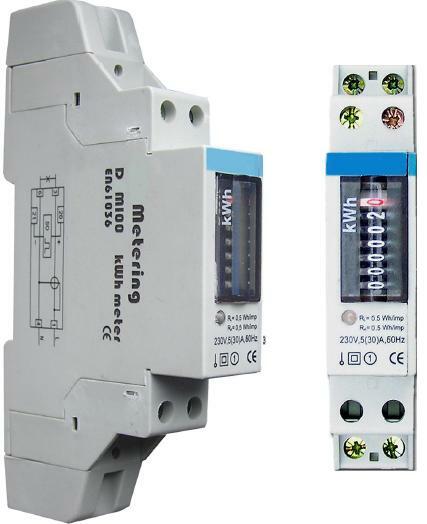 All meters have communications output for remote monitoring and reading. Remote monitoring and reading is an option which may be added anytime.